The great German composer Ludwig van Beethoven is still remembered around the world for his beautiful and skillful compositions. But as wonderful as his musical scores are in themselves, his works are even more impressive when we remember that Beethoven suffered progressive hearing loss that began when he was a young man. In fact, it is astounding to realize that Beethoven wrote many of his greatest works when he was entirely deaf. Knowing the background of Beethoven's life makes his music all the more impressive. In important ways, appreciating the Scriptures is similar to appreciating Beethoven. It isn't difficult to see the power and clarity with which the various books of the Bible proclaim God's revelation. But when we learn about the backgrounds of the writers of the Bible, their world, their lives and their purposes, our understanding and appreciation of the Scriptures become much deeper. This is the first lesson in our series The Book of Acts . In this series we will explore the New Testament's fifth book, often called The Acts of the Apostles, or simply, Acts. 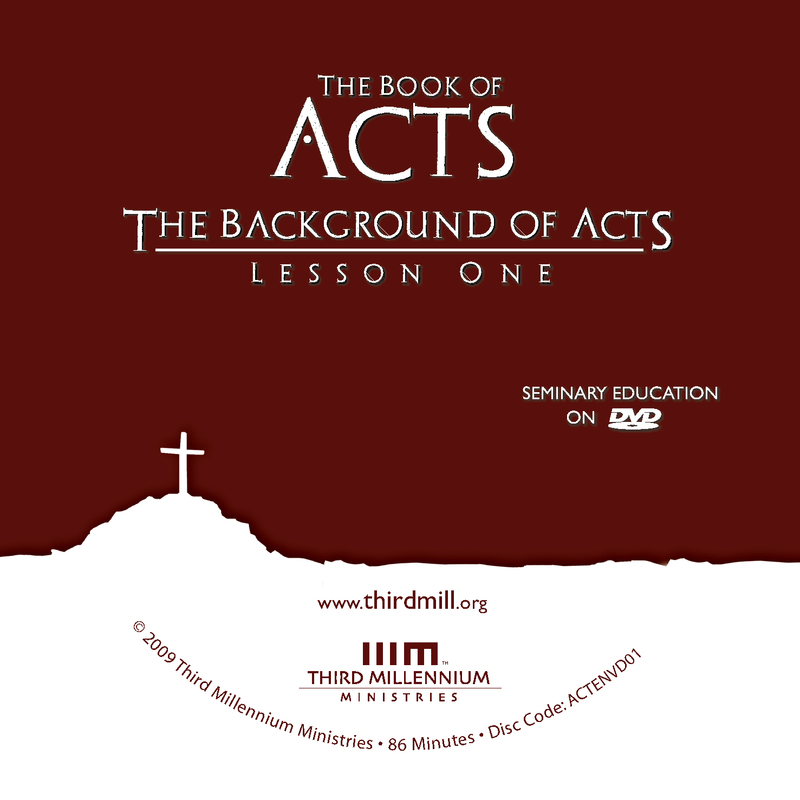 We have entitled this lesson "The Background of Acts," and we will look at a number of basic issues that will help us understand and appreciate the teachings of this book more deeply and more clearly. Our lesson will touch on three crucial aspects of the background of Acts. First, we will examine the authorship of the book. Second, we will look at its historical setting. And third, we will explore its theological background. Let's begin by looking at the authorship of Acts. Like all Scripture, the book of Acts was inspired by the Holy Spirit. But its divine inspiration should not lead us to diminish our attention to its human authors. The Holy Spirit kept the original writings of Scripture free from error, but he still employed the personalities, backgrounds and intentions of its human writers. Acts has traditionally been attributed to Luke, the author of the third gospel. But neither the third gospel nor the book of Acts specifically mentions the name of the author. So, we should look at the reasons for affirming the traditional view of Luke's authorship. We will explore the authorship of Acts from three perspectives. First, we will compare Acts with the Gospel of Luke. Second, we will examine early church history and its witness concerning Luke's authorship. And third, we will look briefly at other aspects of the New Testament that indicate that Luke wrote these books. Let's turn first to what we can learn about the authorship of Acts from the Gospel of Luke. When we compare the book of Acts with the third gospel, two types of evidence emerge that strongly suggest one person wrote both books. On the one hand, there is explicit information stated directly in both books that points in this direction. On the other hand, there is also implicit evidence from the style and content of these books. Let's begin with the explicit evidence that indicates a common author for both books. In my former book, Theophilus, I wrote about all that Jesus began to do and to teach (Acts 1:1). Once again, this passage refers to someone named Theophilus. But there is no reference to an earlier book. Both Acts and the third gospel are dedicated to Theophilus, and the book of Acts refers to a "former book." These facts provide strong evidence that the author of these books produced at least two volumes, with the Gospel of Luke being the first volume and Acts being the second volume. In fact, the connection between these two prologues reflects an ancient literary custom when an author produced two-volume works. Josephus, for instance, wrote a two-volume work entitled Against Apion that has similar prefaces in both volumes. Beyond these explicit connections, there are also implicit correlations between Acts and the third gospel that point toward common authorship. A number of New Testament scholars have pointed out similarities between the books. Time will only allow us to mention these briefly, but they provide significant implicit evidence for common authorship. As we have just seen, Luke 1:1-4 states that the author had investigated a variety of sources and had made an orderly account dedicated to Theophilus. It should not be surprising then that a number of scholars have noted that the accounts in Luke's gospel and the book of Acts are ordered and shaped in similar ways.  There are also several similarities in the compositional structure of the books. The books proceed in an episodic style, and both are roughly the same length, each filling a standard-sized scroll. Beyond this, there is a similar chronological length in each book. Both Luke and Acts cover roughly the same number of years. And there are parallel themes between the books as well. As just one example, the gospel climaxes with the journey of Jesus toward his arrest, trial, suffering, death and victory in Jerusalem, the capital of Judaism and the seat of Jewish monarchical power. And corresponding to this, the book of Acts reaches its conclusion with the Apostle Paul's journey toward Rome, beginning with his arrest, trial and suffering, and concluding with his victorious proclamation of the gospel of Christ in the capital city of the world's imperial power. My eyes have seen your salvation, which you have prepared in the sight of all people, a light of revelation to the Gentiles and for glory to your people Israel (Luke 2:30-32). Jesus' ministry in Luke's gospel explains God's salvation and the promise given to Israel. But only in Acts do we see God's salvation serving as a light of revelation to Gentiles in significant ways. These and other similarities point to a common redemptive-historical vision between the two works, and to a shared sense of purpose and belief. And these similarities also suggest that we are looking at the works of a single author. Now that we have looked at some of the evidence for common authorship in Acts and the Gospel of Luke, we are ready to consider the evidence provided by early church history. From the second to the fourth century A.D., the early church testified that Luke, the traveling companion of Paul, was the author of both Acts and the Gospel of Luke. We will briefly examine this evidence in two ways. First, we will look at early written manuscripts of and about the Bible. And second, we will look at what early church leaders wrote about Luke's authorship. Let's begin with the evidence of some ancient manuscripts. One very old manuscript, referred to as Papyrus75, was discovered in 1952 in Egypt. It was written on papyrus and includes some of our earliest New Testament manuscript evidence. It was probably copied sometime between A.D. 175 and 200, and it includes large portions of the Gospel of Luke and the Gospel of John. Between the texts of the two gospels are written two descriptions of their content. After the conclusion of the Gospel of Luke, the manuscript contains the words "euangelion kata Loukan," or "the gospel according to Luke." And immediately following these words is the expression "euangelion kata Ioannan," or "the gospel according to John." These notices indicate that the material preceding the words "the gospel according to Luke" was identified as Luke's gospel. This manuscript evidence indicates that from very early on, it was believed that Luke wrote the third gospel. And by extension, it points to Luke as the author of Acts as well. Moreover, the acts of all the apostles were written in one book… Luke compiled the individual events that took place in his presence. This statement indicates that in the second century, it was widely believed that Luke was the author of Acts and had witnessed at least some of the events described within it. Luke, moved by the Holy Spirit, composed the whole of this Gospel… And afterwards the same Luke wrote the Acts of the Apostles. Beyond this early manuscript evidence, we also have the testimony of early church leaders indicating that Luke was the author of the third gospel and the book of Acts. Luke also, the companion of Paul, recorded in a book the gospel preached by him. Here Irenaeus referred to Acts as the book that recorded the gospel preached by Paul. His words are important because good historical evidence indicates that Irenaeus had access to firsthand knowledge regarding Luke's authorship of Acts. Luke in the Acts of the Apostles relates that Paul said, "Men of Athens, I perceive that in all things ye are too superstitious." Of the apostles, therefore, John and Matthew first instill faith into us… Luke and Mark renew it afterwards. Here, Tertullian specifically attributed the third gospel to Luke. Luke … has made mention of the census in the Acts. In addition to these kinds of affirmative statements, it is striking that there is not one indication in the literature of the early church that anyone other than Luke wrote the third gospel and Acts, even though he was never designated as an apostle. Because of clues like these, we have reason to believe that the early church did not invent the authorship of Luke, but merely passed on what it had received as the truth: that Luke wrote both these books. So far we have seen that there is good reason to affirm common authorship for Acts and the third gospel, and that the early church testified that this single author was Luke. Now let's see what inferences we can draw from other portions of the New Testament about Luke himself. We will examine this evidence in two ways. First, we will note some clues we gain from the New Testament about our anonymous author. And second, we will compare these clues with information we have about Luke himself. Let's look first at clues about our author. As we have already said, the author of Acts did not identify himself by name. Apparently, he felt no need to name himself for the sake of his patron Theophilus. In Luke 1:3 he simply said, "it seemed good also to me to write," and in Acts 1:1 he said, "In my former book … I wrote." The author assumed that his patron knew who he was. And while this created no problem for Theophilus, it has created many questions for modern readers. When the author said that the events of Jesus' life were handed down to us, he indicated that he was not an eyewitness to the life of Jesus. Second, the style of Greek in Acts and the Gospel of Luke indicates that the author was well educated. Many of the books in the New Testament are written in a fairly common, even unsophisticated style of Greek. But the Gospel of Luke and Acts show more sophistication in their use of the language. Third, the second half of Acts indicates that the author was one of Paul's close traveling companions. In the early chapters of Acts, the narratives are consistently in the third person. But beginning in Acts 16, the narrative often takes on a first-person perspective, using words like "we" and "us." We find this type of language in Acts 16:10-17; 20:5-15; 21:1-18; and 27:1–28:16. These passages indicate that the writer accompanied Paul during Paul's later missionary journeys and on Paul's trip from Caesarea to Rome. Now that we have some clues about our author, we are in a position to see how well these details correspond to what we know about Luke. Let's look once more at the things we know about the author of Luke and Acts: He was not an apostle. He appears to have been well educated. And he was Paul's traveling companion. How do these details compare to what we know about Luke? Well, first of all, Luke was not an apostle. The apostles served in a foundational role for the church, exercising unique authority on Christ's behalf to establish the church and guard it from error and trouble. And according to Acts 1:21-22, apostles had to be trained by Jesus himself. But Luke never met Jesus in person and never claimed the type of authority that belonged to the apostles. Rather, he was simply a faithful supporting member of Paul's missionary endeavors. He was the servant of an apostle, or as Paul described him in Philemon verse 24, a "fellow laborer" of an apostle. Second, it is likely that Luke was well educated. We can infer this from Colossians 4:14, where Paul identified Luke as a physician. While medicine was not as formal a discipline in the days of the New Testament as it is today, it still required a person with skill and aptitude. Third, Luke was Paul's traveling companion. The apostle Paul mentioned that Luke traveled with him in Colossians 4:14; 2 Timothy 4:11; and Philemon verse 24. We can sum up the issue of authorship for Acts in this way. There is a great deal of historical evidence that points to Luke's authorship of Acts. Luke and Acts have a common author. The evidence of the early church consistently attributes authorship to Luke. And the biblical data is consistent with this idea. In light of these evidences, we have good reason to believe that Luke was the author of both the third gospel and Acts. And we should always remember that Luke had excellent access and proximity to the subject matter he described. Now that we have looked at Luke's authorship, we are ready to turn to the historical setting of Acts. When did Luke write? And for whom did he compose his book? As we investigate the historical setting of Acts, we will look at three topics. First, we will consider the date of composition of Acts, pursuing the question of when Luke wrote Acts. Second, we will investigate the original audience of the book. And third, we will explore the audience's social context. Looking into these matters will help us to clarify further the proximity of Luke to the narrated events. It will also help us to understand in a deeper and fuller way the impact the gospel had in the first century A.D. Let's begin with the date of the book's writing. Although there have been many different opinions on when the book of Acts was first written, in general terms, we can divide the opinions of New Testament scholars into two basic orientations. On the one hand, some have argued that Luke wrote after the destruction of the Jerusalem temple in A.D. 70. And on the other hand, others have argued that he wrote before the destruction of the temple in A.D. 70. The tragic events of A.D. 70 were critical to Jewish history, and for this reason it is helpful to think of opinions on these matters in terms of these events. We'll look at each of these outlooks, beginning with the possibility that Luke wrote after A.D. 70. Scholars who hold that Acts was written after A.D. 70 base their views on a number of considerations. For instance, many have claimed that the optimism of the book of Acts indicates a date of A.D. 80 to 90. In this view, Acts is too positive about the early church to have been written early on. Instead, it is a nostalgic look at the early church requiring many years of separation from the events themselves. But this view overlooks the sober way that Acts deals with all kinds of problems inside and outside the church. For the most part, those who believe that Acts was written after A.D. 70 do so because they believe that some material in the book of Acts depends on the works of the Jewish historian Josephus. Josephus' relevant writings were composed no earlier than A.D. 79, and would not have been widely available much before A.D. 85. So, those who believe that Acts depended on the works of Josephus conclude that Acts was written no earlier than A.D. 79 and probably sometime after A.D. 85. While advocates of this position have pointed to many connections between Acts and the works of Josephus, we will touch on just four connections they have mentioned. First, Acts 5:36 refers to Theudas, a Jewish revolutionary who may also have been mentioned in book 20, section 97 of Josephus' Antiquities . Second, Acts 5:37 mentions the revolutionary Judas the Galilean, who appears in book 2, sections 117 and 118 of Josephus' Jewish Wars , and in book 18, sections 1 through 8 of his Antiquities . Third, the revolutionary called The Egyptian in Acts 21:38 may also appear in book 2, sections 261 through 263 of Josephus' Jewish Wars , and in book 20, section 171 of his Antiquities . And fourth, a number of interpreters have also argued that the description of Herod's death in Acts 12:19-23 depended on book 19, sections 343 through 352 of Josephus' Antiquities . Despite the number of interpreters who follow this line of reasoning, we need to point out that the parallels between Acts and the writings of Josephus do not prove that Acts was dependent on Josephus' works. In fact, the descriptions of events in Acts differ from Josephus' descriptions. So, it seems more likely that Acts and Josephus simply recounted well-known historical events separately or depended on common sources. Since the people mentioned were relatively well-known historical figures, it should not be surprising that they are remembered in more than one historical record. And more than this, in the case of Theudas we are dealing with a very common name. It is possible that two separate individuals with the same name are in view. The second major view on the date of Acts has been that it was written before the destruction of the temple in A.D. 70. There are many evidences in favor of this earlier date, but for our purposes we will focus on what we may conclude from the last scene in the book of Acts. The book of Acts closes with Paul under house arrest in Rome, boldly proclaiming the Christian gospel. This ending offers important evidence for believing that Acts was written before A.D. 70. First, Luke's description of Paul's ministry stops short of a crucial event that took place in A.D. 64. In A.D. 64, Nero blamed Christians for the devastating fire in Rome and began to persecute Christians. It would be strange for Luke not to mention such a major turn of events if it had already occurred by the time he wrote Acts. Second, Paul is generally thought to have been martyred during Nero's persecution of the church, probably in A.D. 65 or shortly thereafter. If Acts had been written after this, it would almost certainly have mentioned the martyrdom of Paul, one of the book's most prominent characters. Third, when the Jewish temple in Jerusalem was destroyed in A.D. 70 it significantly impacted the relationships between Jews and Gentiles in the church. The book of Acts focuses on these relationships in many places. So, it seems quite unlikely that Acts would have omitted the destruction of the temple had it occurred. In light of facts like these, it seems best to conclude that Luke completed Acts close to the time of Paul's imprisonment and ministry in Rome in A.D. 60 through 62, the last historical detail mentioned in the book. With this understanding of the early date of Acts in mind, we should turn to a second feature of the historical setting of Acts: the original audience of Luke's work. An awareness of the audience Luke sought to reach with the book of Acts is critical to understanding his work. We will explore the original audience of Acts in two ways. First, we will look at the book's explicit dedication to Theophilus. And second, we will look at the possibility that the book was also intended for a broader audience. Let's begin with Theophilus as Luke's first reader. Luke's prologues imply that Theophilus was his patron, the one who commissioned his writing. As we have seen, in Luke 1:3 and Acts 1:1, Luke dedicated his works to Theophilus. Beyond this, in Luke 1:3, Luke called Theophilus most excellent Theophilus. Luke used the term "most excellent" (or kratistos in Greek) as an expression of honor. This terminology has led many to believe that Theophilus was his wealthy patron. But the relationship between Luke and Theophilus was more complex than mere patronage. By reading the books of Luke and Acts, Theophilus became Luke's student. We can see this aspect of Theophilus' relationship to Luke in the prologue to Luke's gospel. As this passage indicates, Luke's book was designed in part so that Theophilus would know the certainty of the things he had been taught. To put it simply, Luke wrote to instruct Theophilus. Having seen that Luke explicitly cited Theophilus as his first reader, it is also helpful to think of Luke's original audience in broader terms. From what we read elsewhere in the New Testament, it is not difficult to see that the broader church in the first century struggled with a number of issues that Luke addressed in the book of Acts. Luke's history mentioned strife between Jewish and Gentile believers, and divisions based on the leadership of different apostles and teachers. His record touches on doctrinal errors introduced by false teachers. Acts also addresses strife between the church and civil governments. It focuses on issues faced by women and the poor. It records persecutions, sufferings and imprisonments. Acts touches on these kinds of doctrinal, moral and practical difficulties because the broader church struggled with these kinds of issues in its early decades. Since Luke wrote the book of Acts to address a very broad set of issues, it seems reasonable to assume that he intended his work to be read by many different believers. He was concerned to help both Theophilus and the early church at large deal with the many challenges they faced. Having considered the date and original audience of the book of Acts, we are ready to address a third concern: the general social context of Luke's work, the kind of world in which the book of Acts was written. The more we can understand about the social forces at work in Luke's day, the better equipped we will be to grasp many features of his book. We will explore the social context of Acts by looking at two central features of life in the first century church: first, the rule and power of the Roman Empire; and second, the new relationship between the church and the Jews. Let's look first at the Roman Empire. By the time Luke wrote the book of Acts, the Roman Empire had conquered and controlled the entire Mediterranean world, and had extended its reach as far as present-day Britain, North Africa and parts of Asia. In the days of the early church, the empire was still growing, adding more and more peoples and territories to its domain. As it did so, the Roman Empire deeply influenced all aspects of society with its distinctively Roman values, goals and beliefs. Without a doubt, the greatest influences Rome had on conquered territories were political and economic. One of the chief political concerns of the Roman Empire was to ensure peace and loyalty within the empire by exerting forceful control over local authorities. Conquered nations were allowed a measure of local autonomy, but their local governments were often reconfigured and were always in subjection to the Roman hierarchy. For example, the book of Acts mentions two Roman governors of Caesarea, namely Felix and Festus, who ruled the entire land of Judea from Caesarea. In addition to overseeing taxation, they were responsible for maintaining peace and order in their part of the Roman Empire. The empire also exercised cultural and political influence through the integration of Roman citizens into the population of conquered nations. Often, Rome offered retiring military forces land in newly conquered territories. This practice established enclaves of loyal Roman citizens all across the entire empire, and promoted the values and commitments of Rome in both official and social settings. This is why the book of Acts mentions people from Rome from time to time. As early as Pentecost, we read in Acts 2:10-11 that there were "visitors from Rome (both Jews and converts to Judaism)." Again, Cornelius, the God-fearing Roman centurion in Acts 10, plays an important role in the spread of the gospel in Acts. Beyond this, local cultures were influenced by Rome's public works, such as roads, elaborate buildings and public meeting places. This aspect of Roman rule explains how Paul and others traveled so freely and safely in their missionary efforts. The apostles also used these public venues to proclaim the gospel as they traveled from place to place. Perhaps the most important feature of the Roman Empire for the early church was its influence on the religions of the people it conquered. At the time of Luke's writing, one man stood at the center of the entire Roman Empire: Caesar. The emperor or Caesar was not only seen as the lord of his people and realm, but also as the soter or savior of the people. According to Roman propaganda, Caesars delivered their people from chaos and darkness. And the extension of the Roman Empire was presented as an extension of his salvation, freeing people from the tyranny of their local kings and bringing everyone under Rome's benevolent rule. In most places, conquered people were allowed to continue many of their own religious practices, but they were required to confess the superiority of the Caesar and the traditional Roman gods. Now, in many respects, most Jews and Christians in the first century were respectable subjects of Rome, but faithful Jews and Christians refused to acknowledge the supremacy of Roman religion. The Roman Empire designated the Jewish faith as a religio licita or "legal religion," and it tolerated the Christian faith as much as possible — even though it still repressed both groups. Through its control of government, population, public works and religion, Rome attempted to spread its influence everywhere it could. Now that we have looked at the social context of Acts in terms of the influences of the Roman Empire, we are ready to examine another crucial dimension of the social situation into which Luke wrote: the relationship between Unbelieving Jews and the early Christian church. We will consider the relationship between the Jews and the early church first by noting the deep connection between them, and second by exploring their fundamental differences. Let's begin with the connection between these two groups. The early church shared a common heritage with the Jewish people. As obvious as it is, in the modern world we often have to remind ourselves of the fact that Jesus was Jewish, the apostles were all Jewish, and at first, the church itself consisted almost entirely of Jewish converts. So, it should not be surprising that in the mind of the early church, loyalty to the promised Jewish Messiah implied a certain faithfulness to Judaism. According to the book of Acts, many people in the early church attended temple worship, met in synagogues to hear the Scriptures, and maintained appreciation for many Jewish customs. We tell you the good news: What God promised our fathers he has fulfilled for us, their children, by raising up Jesus (Acts 13:32-33). Paul and those who traveled with him identified themselves with the Jews in the synagogue, speaking of the patriarchs as "our fathers" and of Christians as us, their children. In addition, the early church and the Jewish community at large were both committed to the same Scriptures. In the book of Acts, Christians consistently appealed to the Scriptures when they proclaimed the gospel in Jewish contexts. They came to Thessalonica, where there was a Jewish synagogue. As his custom was, Paul went into the synagogue, and on three Sabbath days he reasoned with them from the Scriptures, explaining and proving that the Christ had to suffer and rise from the dead (Acts 17:1-3). Beyond this, the deep connection between Christianity and Judaism resulted in significant interactions between the Jewish authorities and the early church. According to the book of Acts, the early church's boldness in proclaiming the gospel of Christ often led to conflict with Jewish authorities. But as much as possible, the early Christians acknowledged Jewish leaders and resisted them only when they ordered them to disobey the commands of God. Despite the deep connection between the Jewish people and the early church, they were still distinguished by fundamental differences. First and most fundamentally, Christians and unbelieving Jews disagreed over the person and work of Jesus. The church proclaimed that Jesus was the Messiah who had conquered death and was restoring all creation, beginning with his own resurrection from the dead. But the unbelieving Jews considered it impossible for a man crucified as a criminal to be the promised Messiah. This difference created a rift between Christians and non-Christian Jews that continues even to our own day. Second, while the early church and the Jewish leaders agreed on the authority of the Hebrew Bible, they disagreed vigorously over the correct interpretation of the Hebrew Scriptures, particularly with regard to Jesus. The early church believed that the hopes of the Hebrew Scriptures for the coming Messiah were fulfilled in Jesus, but unbelieving Jews denied this understanding. There were many parties within Judaism that held to a wide range of views, but most of them found it impossible to accept that Jesus fulfilled the messianic hopes of the Old Testament. In the third place, the early church and the Jewish people of the first century differed over how they viewed Gentiles. For the most part, observant Jews did not share company with Gentiles. But on the other hand, many uncircumcised Gentiles were so attracted to the beliefs and ethical teaching of Judaism that they attached themselves to local Jewish synagogues and were known as God-fearers. The God-fearers were respected above other Gentiles, but they were not full members of the Jewish community. Gentile proselytes converted to Judaism, but this involved undergoing initiation rites, including a baptism and circumcision, and the observance of the Jewish traditions. While the early Jewish Christians began with this same understanding of Gentiles, they gradually came to understand that Gentiles who followed Christ were to be granted full status in the Christian church. In light of new revelation from the Holy Spirit, the early church determined that faith in Christ expressed in confession and baptism was sufficient for membership in the Christian church. So, the apostles made it their practice to proclaim the gospel of Christ's universal Lordship to both Jews and Gentiles, accepting the gifts and ministry of both peoples as the church grew. They understood that God was using the Gentiles to fulfill the hope of the kingdom that he had extended to his people in the Old Testament. Not surprisingly, this led to many conflicts between unbelieving Jews and early Christians. Knowing some of the details about the time when Luke wrote, the audience to whom he wrote, and the social context in which he wrote will help us greatly as we study the book of Acts. We will be better prepared to appreciate the problems Luke addressed, to understand his solutions, and to apply them to our own lives today. Now that we have examined the authorship and historical setting of Acts, we are ready to explore our third main topic in this lesson, the theological background of the book of Acts. As we study the book of Acts, many theological questions come to mind. Where did Luke learn his theological perspectives? How did he decide what to address in his book and what to omit? What overarching principles guided his writing? Well, the answers to these questions can be found in Luke's theological background. Our discussion of the theological background of Acts will divide into three parts. First, we will explore the foundations of Luke's theology in the Old Testament. Second, we will consider how his theology was influenced by his beliefs about the messianic kingdom of God. And third, we will see how Luke's gospel, the first volume of Luke's work, helps us understand the message of Acts. Let's begin with the Old Testament foundations to the book of Acts. The Old Testament influenced Luke's writing in at least two ways. In the first place, Luke was deeply influenced by the Old Testament's view of history in general. And in the second place, he was deeply impacted by its treatment of the history of Israel in particular. Let's look first at how the Old Testament's view of history in general informed Luke's theology. In his great work Pensées , the 17th century Christian philosopher Blaise Pascal spoke of three great truths that human beings have recognized throughout history. First, he refers to the glory and beauty of creation, the wonder that permeates the universe because God made all things good. Second, he spoke of the perplexing conflict between the creation's original glory and its present misery and corruption. And third, Pascal spoke of redemption, the hope that there will be a solution to this conflict. Pascal's reflections parallel the Old Testament's division of world history into the three main stages of creation, the fall into sin, and redemption. And in Acts, Luke wrote about the early church in ways that reflected this threefold outlook on history. Consider the period of creation. In Genesis 1, God prepared the world to be an extension of his heavenly kingdom. He ordered the universe; formed a paradise in Eden; placed humanity, his royal image, within that paradise; and commanded humanity to multiply and to rule over the earth, beginning in Eden and stretching to the ends of the globe. In short, God set the stage for the full development of his kingdom on earth. The God who made the world and everything in it is the Lord of heaven and earth… From one man he made every nation of men, that they should inhabit the whole earth… God did this so that men would seek him and perhaps reach out for him and find him, though he is not far from each one of us (Acts 17:24-27). According to this passage, the backdrop to Paul's gospel ministry reached all the way to creation. God is the Lord who made the world and everything in it. He ordered the world so that men would seek him, reach out for him and find him. Paul's gospel ministry grew out of the purposes God established at creation. By including these details in his book, Luke indicated that the theme of creation was important to his own understanding of the early church. In much the same way, Luke's awareness of humanity's fall into sin also comes to the foreground in the book of Acts. As we know, Genesis 3 teaches that after God created humanity, Adam and Eve rebelled against him. And the impact of this was tremendous. According to the Old Testament, humanity had such a central role in the world that their fall into sin brought the entire human race under the curse of death and corrupted the entire creation. Luke wrote of the misery of sin in many places throughout Acts. We find references to the Fall in Peter's sermons in 2:38–3:19, in the apostles' defense before the Sanhedrin in 5:29-32, in Paul's words to the Ephesian elders in 20:18-35, and in Paul's speech before King Agrippa in Acts 26:20. The book of Acts repeatedly illustrates that everything in creation — the physical world, our economic structures, our political systems, and even the church itself — suffers because of humanity's fall into sin. Happily, Luke's history in Acts also indicates that he not only believed in the Old Testament teaching about creation and the Fall, but also embraced what the Old Testament said about the redemption. As horribly as sin had corrupted humanity and creation, Luke knew that God had not left the world without hope. The Old Testament taught that God had been redeeming or saving people from the curse of sin since it first entered the world. But more than this, OT prophets also predicted a day when sin and its curse would be entirely eliminated from the creation. As Luke wrote the book of Acts, he frequently displayed his belief that this redemption was coming to the world through the saving work of Christ. This theme appears throughout Acts. To name just a few, we find these themes of redemption in: Peter's sermon in 2:21-40; the apostles' defense before the Sanhedrin in 5:29-32; the angel's words to Cornelius in 11:14; Paul's speech in the synagogue of Pisidian Antioch in 13:23; Peter's argument in the Jerusalem counsel in 15:7-11, and Paul and Silas' words to the Philippian jailor in 16:30-31. As we approach the book of Acts, we must always remember that Luke was deeply influenced by the Old Testament view of world history as he wrote. This is why he so often recorded moments from the first century that reflected the broad scope of world history from creation, to the fall into sin, to redemption in Christ. Now that we have looked at the Old Testament's vision of history in general, we are ready to turn to its vision of the history of Israel in particular, and to the way Luke's record in Acts depended on the history of this special nation. There are countless ways that Luke relied on the history of Israel as he was writing Acts. For the sake of illustration, we will limit our discussion to three events from Israel's history: God's choice of Abraham, the Exodus under Moses, and the establishment of David's dynasty. First, consider how God's choice of Abraham informed Luke's history. According to these verses, God called Abraham to go to the Promised Land for two main purposes. On the one hand, Abraham would father a great nation, become famous, and receive many spiritual and material blessings. God's blessings to Abraham and his descendants after him were to be symbolic demonstrations that there is hope in God's salvation, even in this fallen world. But on the other hand, God's call went far beyond what Abraham and his descendants would receive. Through Abraham, all peoples on earth would be blessed. Abraham and his descendants would become a conduit of divine blessings to all the families of the earth. This twofold focus of God's choice of Abraham underlies much of Luke's thinking in Acts. On the one hand, Luke frequently reported how the blessing of salvation in Christ came to the Jews, the descendants of Abraham, fulfilling God's promises to the great patriarch. But on the other hand, Luke also focused on how Jewish Christians brought the gospel of Christ to the Gentiles. Time and again in Acts, Luke reported that Jews like Phillip, Peter, Paul and Barnabas took the gospel of salvation to the Gentile world. This too fulfilled God's promises to Abraham. Moses … told the Israelites, "God will send you a prophet like me from your own people." He was in the assembly in the desert, with the angel who spoke to him on Mount Sinai, and with our fathers; and he received living words to pass on to us. But our fathers refused to obey him. Instead, they rejected him and in their hearts turned back to Egypt (Acts 7:37-39). From Stephen's point of view, Jesus was the prophet Moses had foretold. So, to reject Jesus was also to reject Moses and the Law, just as the ancient Israelites had done. To be truly committed to Moses and the Law, one must embrace Christ. From morning till evening Paul explained and declared to them the kingdom of God and tried to convince them about Jesus from the Law of Moses and from the Prophets (Acts 28:23). For Paul and the rest of the early church, acceptance of Moses and the Law was foundational to faith in Christ. And this belief influenced what Luke wrote in Acts. In the third place, Luke was influenced by the Old Testament record of David's dynasty. It would be difficult to imagine any Old Testament theme that was more important to Luke than the establishment of David's house as the permanent dynasty to rule over Israel. As Israel grew into an empire in the Old Testament, God chose the family of David as the permanent dynasty to lead his people. But the Old Testament also anticipated the day when the house of David would extend the reign of God from Israel to the ends of the earth. David's son will rule from sea to sea and from the River to the ends of the earth… All nations will be blessed through him, and they will call him blessed (Psalm 72:8, 17). As these verses reveal, it was through his descendant David that Abraham would become a blessing to the world. But David would not accomplish this himself. Rather, one of his descendants would be the king to extend his benevolent, peaceful rule over the entire world. In the book of Acts, Luke drew deeply from this hope in David's house. He understood that Jesus was the son of David, the royal ruler of God's kingdom who was expanding his reign from Jerusalem to the ends of the earth by means of the church. God at first showed his concern by taking from the Gentiles a people for himself. The words of the prophets are in agreement with this, as it is written: "After this I will return and rebuild David's fallen tent. Its ruins I will rebuild, and I will restore it, that the remnant of men may seek the Lord, and all the Gentiles who bear my name, says the Lord, who does these things" that have been known for ages (Acts 15:14-18). Here James referred to Amos 9:11-12, where Amos predicted that God would restore David's dynasty and extend his reign over the Gentile nations. As he indicated here, James believed the success of the gospel among the Gentiles was the fulfillment of these Old Testament hopes. Luke wanted his readers to understand that Jesus was the heir to Abraham's promises, the prophet like Moses, and the final Davidic king. Jesus had ascended to his throne and was conquering the world through the proclamation of the gospel and the growth of the church, extending his kingdom of salvation from Jerusalem to the ends of the earth, just as the Old Testament had foretold. Having looked at Luke's dependence on the Old Testament, we are ready to see how the messianic kingdom of God contributed to the theological background of Acts. Our discussion of the kingdom of God will divide into three parts. First, we will consider the Jewish messianic theology that was prevalent in the first century. Second, we will focus on the theology of John the Baptist. And third, we will briefly compare these views with the Christian messianic theology that Luke endorsed. Let's begin with the perspectives of Jewish theology. After the last books of the Old Testament were written in the fifth century B.C., Israel entered a period of spiritual darkness. For hundreds of years, the vast majority of Israelites lived outside the Promised Land, and those who remained in the Land suffered under the tyranny of Gentile rulers. At first it was the Babylonians, then the Medes and Persians, then the Greeks, and finally the Romans. As a result of this prolonged history of suffering, the hope that God would send a messianic liberator to Israel became one of the most dominant motifs of Jewish theology. Jewish messianic hopes took many different directions. For example, the zealots believed that God wanted Israel to usher in the day of Messiah by mounting insurrection against the Roman authorities. Various apocalyptic groups believed that God would supernaturally intervene to destroy his enemies and to establish his people as victors. There were also nomists, such as the popular Pharisees and Sadducees, who believed that God would not intervene until Israel became obedient to the Law. At various points in the book of Acts, Luke mentioned that many Jews rejected the Christian view of the messianic kingdom. Although the Jews had many different hopes for the Messiah, Luke saw that a significant transition in Jewish theology took place through the ministry of John the Baptist. John answered them all, "I baptize you with water. But one more powerful than I will come, the thongs of whose sandals I am not worthy to untie. He will baptize you with the Holy Spirit and with fire. His winnowing fork is in his hand to clear his threshing floor and to gather the wheat into his barn, but he will burn up the chaff with unquenchable fire" (Luke 3:16-17). Here John rightly declared that the Messiah would bring the great blessing and purification of the Holy Spirit, including judgment. But he was under the mistaken impression that the Messiah would do this work all at once. John did not foresee that the Messiah would bring salvation and judgment to the world in stages. Later, John became perplexed by the fact that Jesus had not yet done everything that Jewish theologians had expected the Messiah to do. John was so troubled that he sent messengers to ask Jesus if he really was the Messiah. When the men came to Jesus, they said, "John the Baptist sent us to you to ask, 'Are you the one who was to come, or should we expect someone else?'" … So he replied to the messengers, "Go back and report to John what you have seen and heard: The blind receive sight, the lame walk, those who have leprosy are cured, the deaf hear, the dead are raised, and the good news is preached to the poor. Blessed is the man who does not fall away on account of me" (Luke 7:20-23). In his reply to John the Baptist, Jesus alluded to a number of messianic prophecies in the book of Isaiah. He did this to assure John that he was in the process of fulfilling various expectations of Old Testament messianic prophecy, even though he hadn't finished them all. Jesus also encouraged John not to fall away because of the way his messianic work was unfolding. In short, Jesus' messianic mission looked very different from what was expected. Jewish messianic hopes looked for an immediate earthly political kingdom under the rule of the Messiah, similar to the kingdom that David had ruled centuries before. But Jesus did not attempt to establish this type of kingdom during his earthly ministry. With this understanding of Jewish messianic theology and the outlooks of John the Baptist in mind, we are ready to turn to the early Christian theology of the Messiah and the kingdom of God. The gospel is the announcement that the kingdom of God comes to earth through the person and work of Jesus, the Messiah, and that it expands toward its great consummation as God grants salvation to those who receive and trust in Jesus as the Messiah. You'll note that the gospel message touches on two essential ideas. On the one hand, we find what we might call the more objective side of the Christian gospel. The kingdom of God comes to earth through the person and work of Jesus. Luke believed that as the Messiah, Jesus had begun the final phase of God's kingdom on earth, and that he would one day return to finish what he started. And on the other hand, the New Testament gospel message also had a more subjective side. It announced that the final phase of God's kingdom expands toward its great consummation as God grants salvation to those who receive and trust in Jesus as the Messiah. The rule of God over the world moves forward as the gospel touches the hearts of those who believe, and brings them into the salvation that Jesus accomplished. In the book of Acts, Luke drew attention to both these dimensions of the gospel. On the objective side, he emphasized the realities of God's great work of salvation in Christ. He recorded the church's proclamation that Jesus had died for the sins of his people, that he had been raised from the dead, that he reigns at the right hand of God the Father, and that he will return in glory. Jesus of Nazareth was a man accredited by God to you by miracles, wonders and signs… You put him to death by nailing him to the cross. But God raised him from the dead (Acts 2:22-24). Notice that Peter's gospel proclamation includes the objective facts of the Messiah's life, death and resurrection. But Luke also drew attention to the more subjective side of the gospel. On many occasions he stressed the importance of people personally embracing the truth of Christ so that it transformed their lives. For example, Luke's record of Peter's Pentecost speech also includes these words in Acts 2:37-38. When they heard this they were cut to the heart, and said … "Brothers, what shall we do?" And Peter said to them, "Repent and be baptized every one of you in the name of Jesus Christ for the forgiveness of your sins, and you will receive the gift of the Holy Spirit" (Acts 2:37-38). The Christian gospel cuts to the heart of those who hear it. It is not just a bare acknowledgement of facts, but a heartfelt, life-transforming embrace of the Savior. As we have said, first-century Jewish theology believed that the Messiah would establish a political kingdom all at once. But Jesus and his apostles taught that the Messiah's kingdom grows gradually through the expansion of the church and the personal transformation of people. This is one reason that Luke focused so much attention on the conversion of unbelievers through the proclamation of the gospel. He knew that this was the means through which the messianic kingdom of God would expand throughout the world. With the broad contours of the Old Testament vision in mind, we should consider a third aspect of the theological background of Acts: its foundation in Luke's gospel. As we read the book of Acts, we must always remember that it is the second of two volumes that Luke wrote to Theophilus. Luke always intended these books to be read together. His gospel is the first part of the story and the book of Acts is the second part of the story. So, to read the book of Acts rightly, we need to understand how it continues the story that is begun in the gospel. There are many ways Luke's gospel prepares us to understand the message of Acts. But for our purposes we will focus on the theme of the kingdom of God that spans both volumes. In Luke's gospel, Jesus established the pattern and goal for the kingdom of God and prepared his apostles to continue his work after his ascension. In the book of Acts, Jesus ascended into heaven and left his apostles, aided by the Holy Spirit, in charge of expanding his kingdom through the gospel. We will consider two ways that the Gospel of Luke prepares the way for the apostles' kingdom-building work in the book of Acts. First, we will look to Jesus as the one who brought the kingdom. And second, we will explore the role of the apostles in continuing to bring in the kingdom after Jesus' ascension into heaven. Let's begin with Jesus as the one who brings the kingdom of God. Throughout his gospel, Luke characterized Jesus as the prophet who proclaimed the coming of the kingdom of God, and as the king who was bringing the kingdom into power by ascending to its throne. Jesus himself spoke of both these ideas in many places. But by way of illustration, we will consider just two times that he mentioned it in his public ministry. I must preach the good news of the kingdom of God … because that is why I was sent (Luke 4:43). On the other hand, at the end of his public ministry, just before his triumphal entry into Jerusalem where he was heralded as king, Jesus told the parable of the ten minas in Luke 19:12-27. In this parable, he explained how the kingdom would come slowly. Most Jews in his day hoped for a kingdom that would come immediately in all its fullness. But Jesus taught that he was bringing in the kingdom slowly and in stages. Jesus had begun the kingdom, but he was going away for a long time to be crowned king, and he would not complete his kingdom until his return. Jesus told them a parable, because he was near Jerusalem and the people thought that the kingdom of God was going to appear at once. He said: "A man of noble birth went to a distant country to have himself appointed king and then to return" (Luke 19:11-12). Notice what happened here. Jesus was about to enter Jerusalem and to be proclaimed king, but he did not want the people to assume that he would install himself as an earthly ruler at this time. Instead, he would be leaving for a long time, in order to receive his kingship, and would return to rule his earthly kingdom in the future. And this is exactly what happened. In Jerusalem, Jesus was arrested and crucified. Then he rose from the dead and ascended into heaven, at which point he received his kingship from the Father. And he has yet to return to consummate his kingdom. With this understanding of the way the Gospel of Luke established Jesus as the one who brings the kingdom, we should turn to a second matter established in the gospel: the role of the apostles in furthering the kingdom through the gospel. On the night before Jesus was crucified, he instructed his apostles to carry on his work of bringing in the kingdom. I confer on you a kingdom, just as my Father conferred one on me, so that you may eat and drink at my table in my kingdom and sit on thrones, judging the twelve tribes of Israel (Luke 22:29-30). Jesus appointed his apostles as leaders and judges in his kingdom. Their job was, in dependence upon the Holy Spirit, to continue where he left off, proclaiming the gospel of the kingdom and expanding the kingdom to fill the world. So, we can see that Luke's gospel establishes that inaugurating the kingdom was Jesus' primary task, and that he commissioned the apostles to carry on this work after his ascension into heaven. And the book of Acts picks up right where the Gospel of Luke ends. It begins with Luke explaining that after Jesus rose from the dead and before he ascended into heaven, he spent time teaching the apostles. Jesus appeared to them over a period of forty days and spoke about the kingdom of God. On one occasion … he gave them this command: "Do not leave Jerusalem, but wait for the gift my Father promised … In a few days you will be baptized with the Holy Spirit." … They asked him, "Lord, are you at this time going to restore the kingdom to Israel?" He said to them: "It is not for you to know the times or dates the Father has set by his own authority. But you will receive power when the Holy Spirit comes on you; and you will be my witnesses in Jerusalem, and in all Judea and Samaria, and to the ends of the earth" (Acts 1:3-8). Once again, Jesus encouraged his followers not to look for an immediate completion of the kingdom. Instead, he confirmed that the apostles would be responsible to carry on his work by proclaiming the gospel throughout the world. And this is just what the apostles did in the book of Acts. They built up the church as the current form of the kingdom of God. And they brought the gospel of the kingdom to new lands and people, expanding the kingdom from Jerusalem, to Judea, to Samaria, to the ends of the earth. For two whole years Paul stayed … in his own rented house and welcomed all who came to see him. Boldly and without hindrance he preached the kingdom of God and taught about the Lord Jesus Christ (Acts 28:30-31). Notice that rather than simply saying that Paul preached the "gospel," Luke said that Paul preached the kingdom of God. The book of Acts ends just as it begins, emphasizing the apostles' role as those who expanded God's kingdom on earth, through their proclamation. As we approach the book of Acts, we must always keep in mind that Luke wrote out of his background in the Old Testament and first century beliefs about the kingdom of God in Christ. And we must also remember that Acts follows the Gospel of Luke by reporting how the kingdom work that began through the ministry of Christ was continued through the apostles and the early church, as they relied upon the Holy Spirit. In this lesson, we have examined the authorship of the book of Acts; we have described its historical setting; and we have explored its theological background. Keeping these details in mind as we study the book of Acts will help us to discover its original meaning, and to apply it properly in our own lives. As we continue in this series, we will see how the background to Acts opens many windows into this wonderful book. We will discover how Luke's inspired record of the early church led Theophilus and the early church into faithful service to Christ. And we will see that the book of Acts offers crucial guidance for the church today as we continue to proclaim the gospel of the kingdom to our own world.